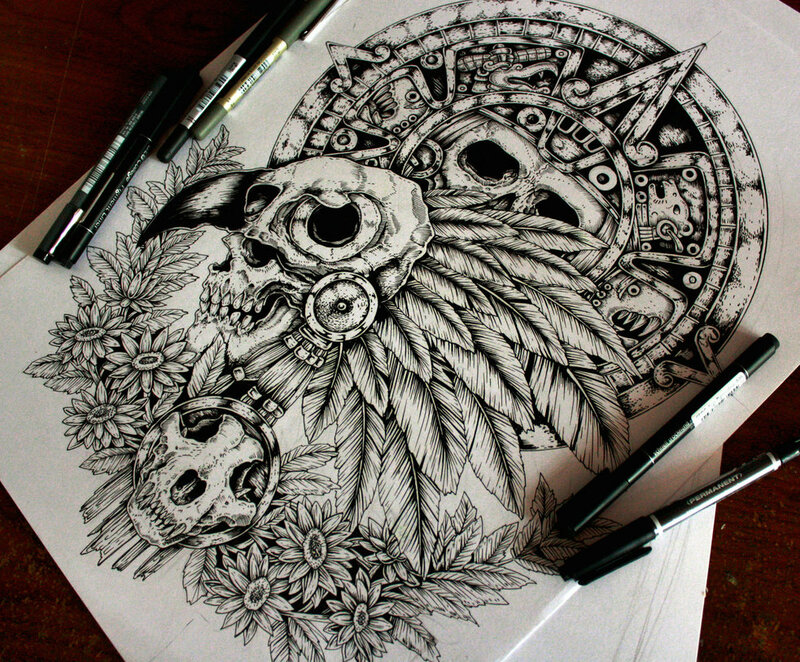 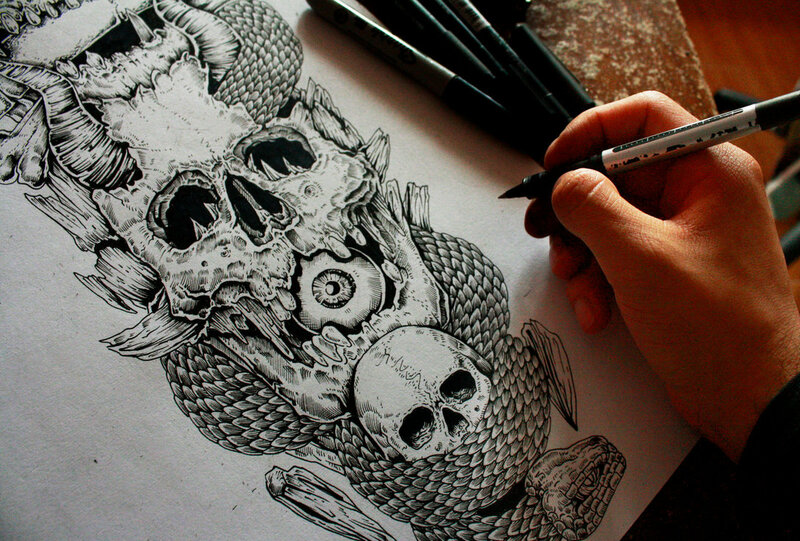 Erick M Gonzaga who's direct quote is "I´m not an artist, and I don't make art either, I just love to draw and paint. 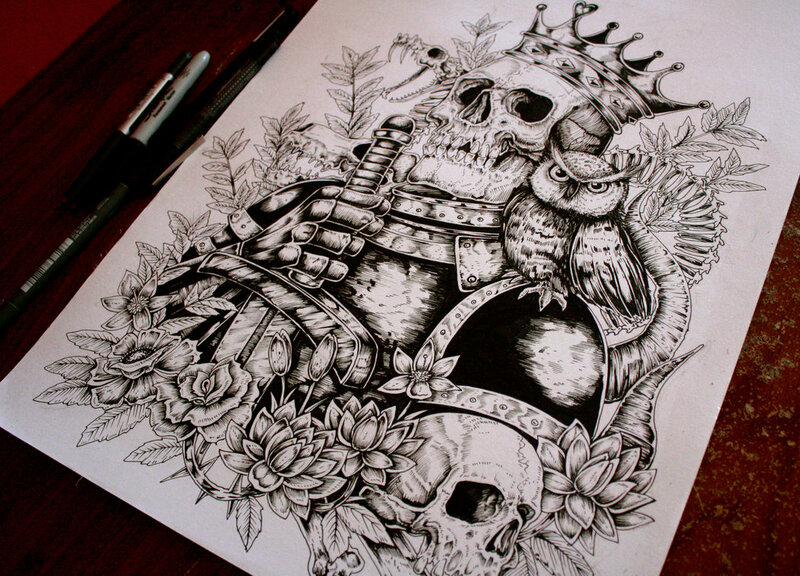 I also dress like a bat and fight crime during night." 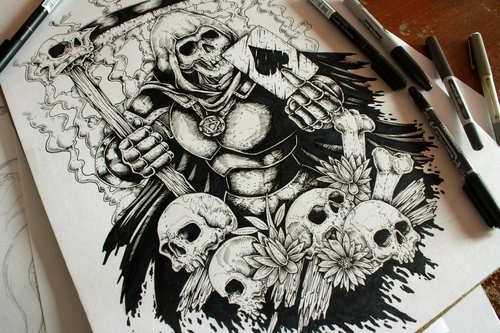 seems to be drawn to the darker colorful side of art (figure of speech, his drawings are in black and white). 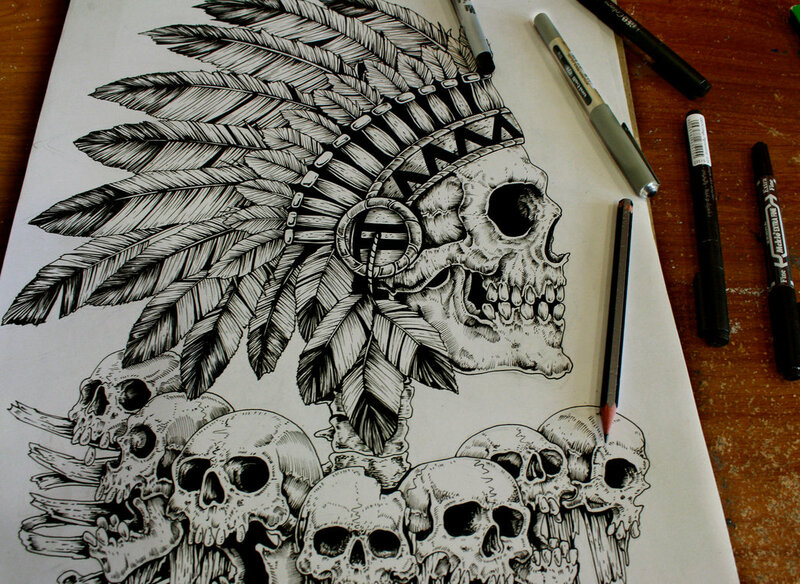 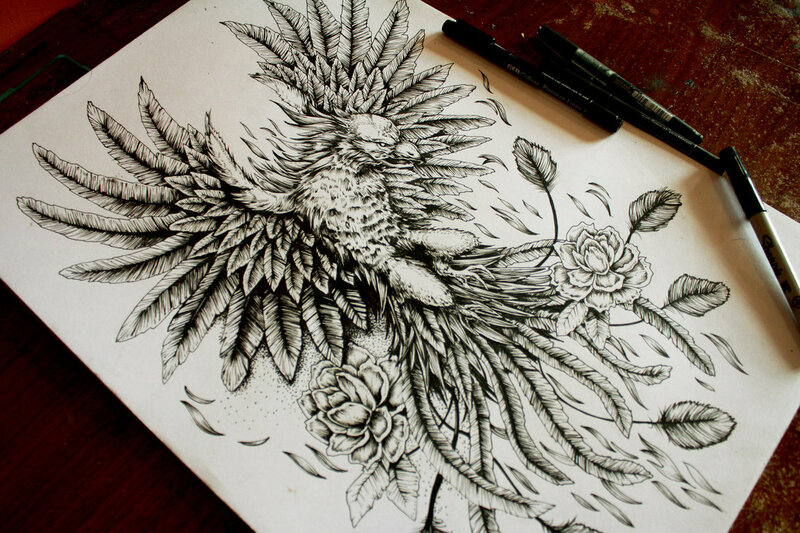 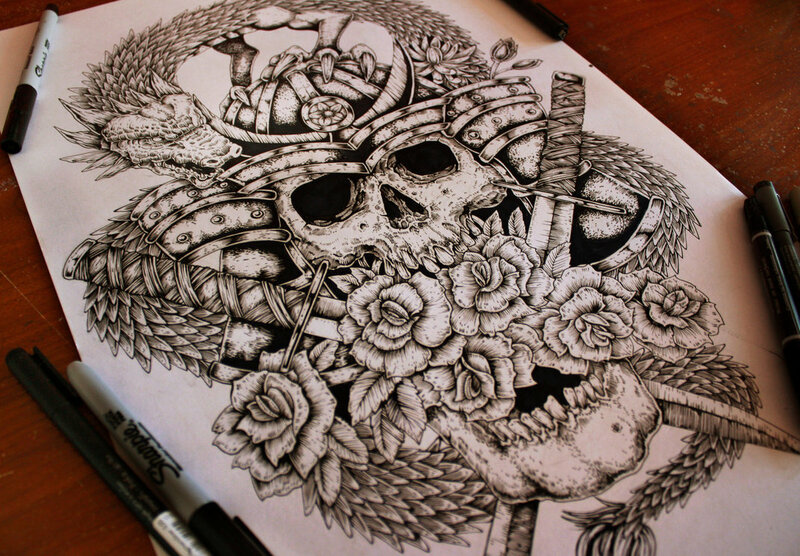 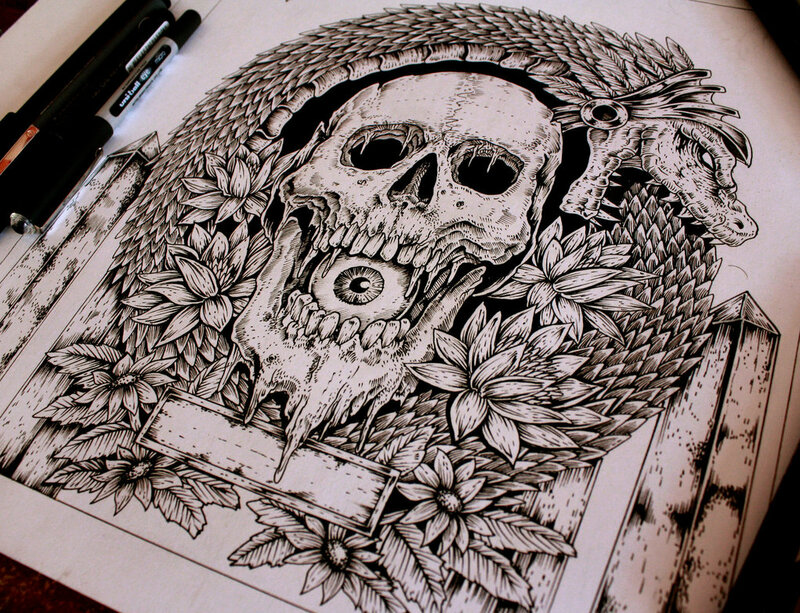 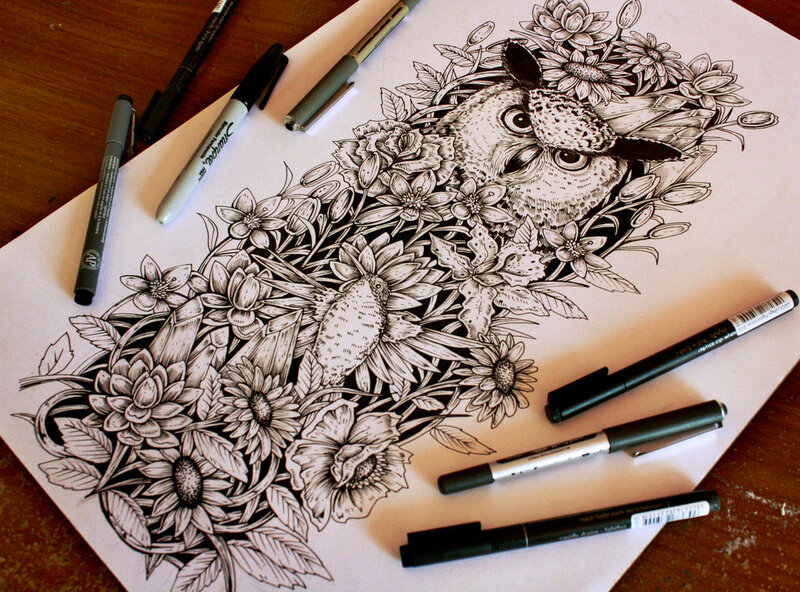 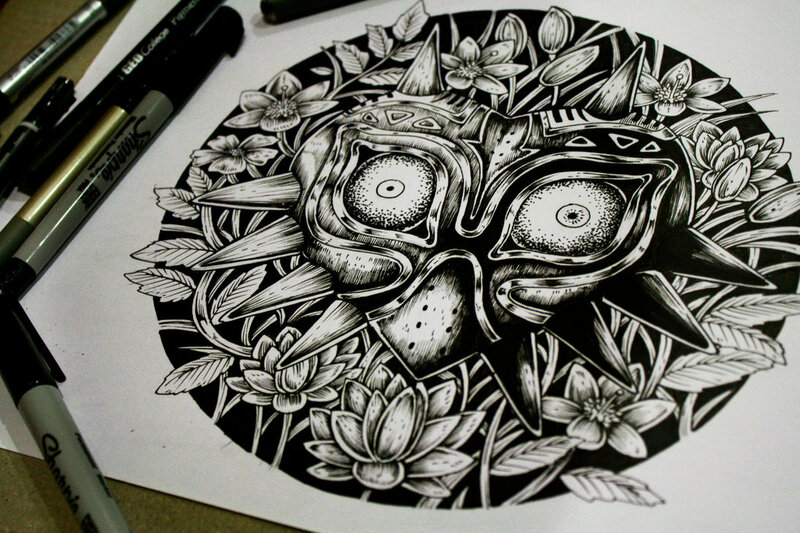 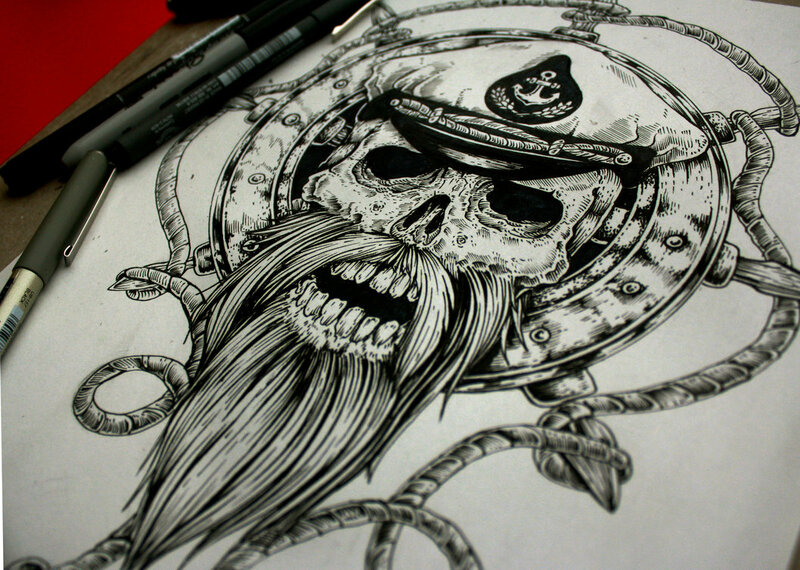 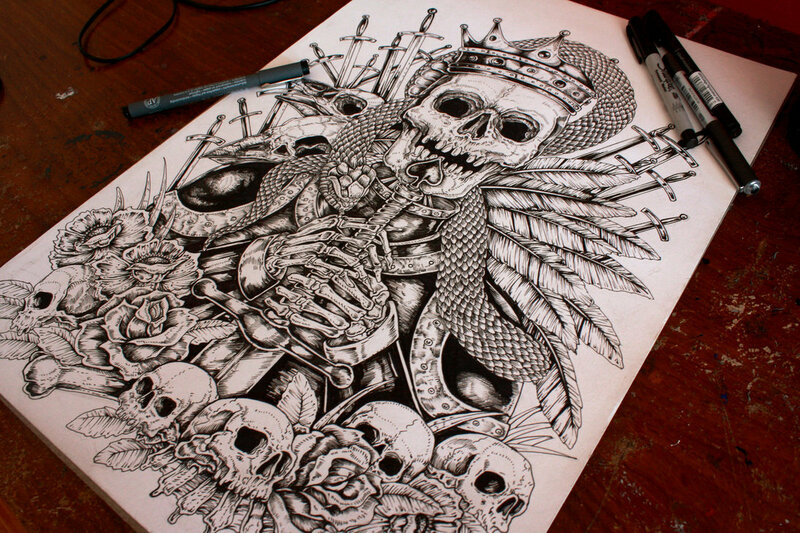 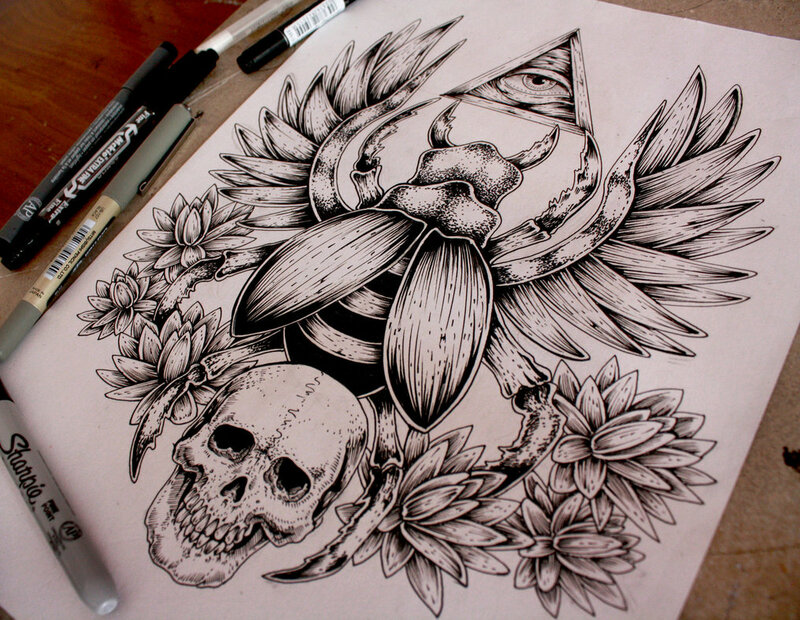 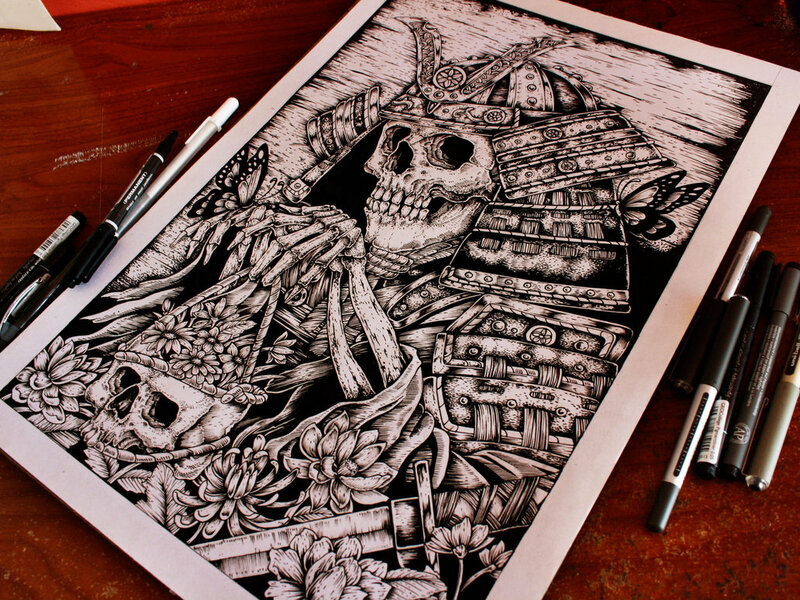 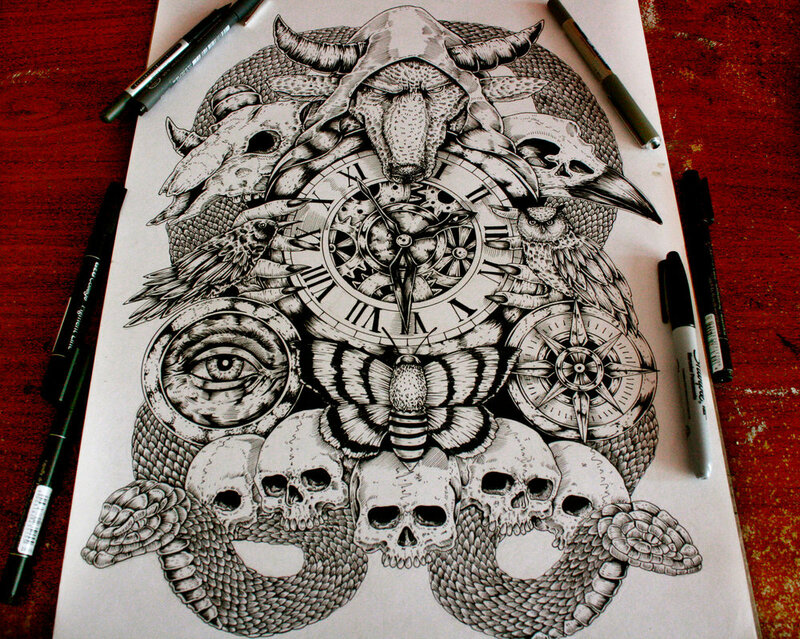 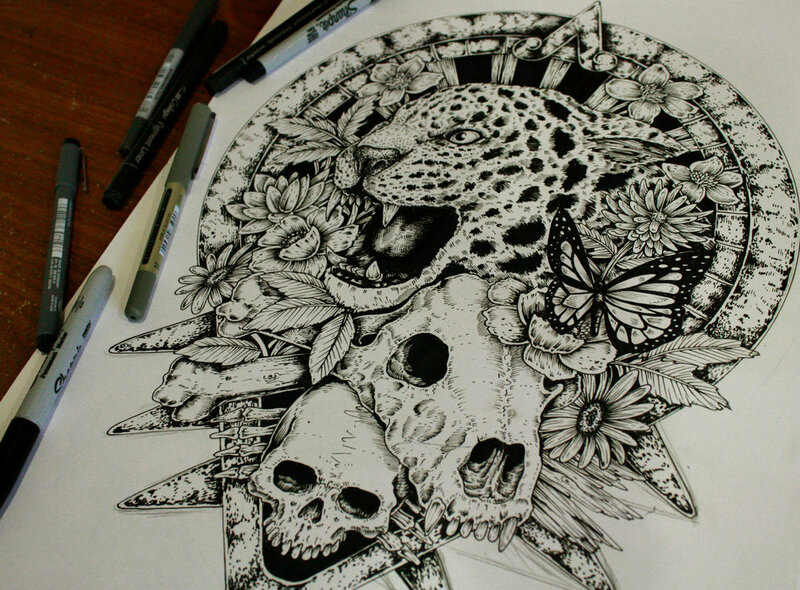 His drawings are precise, imaginative and full of detail, a very skilled illustrator. 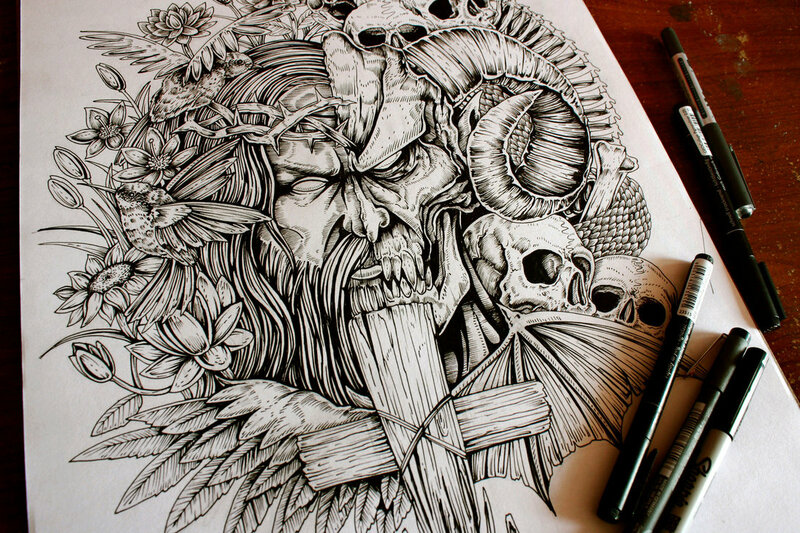 At least part of Gonzaga's work is produced for commissions, for tattoos or for t-shirt designs, you can see more below. 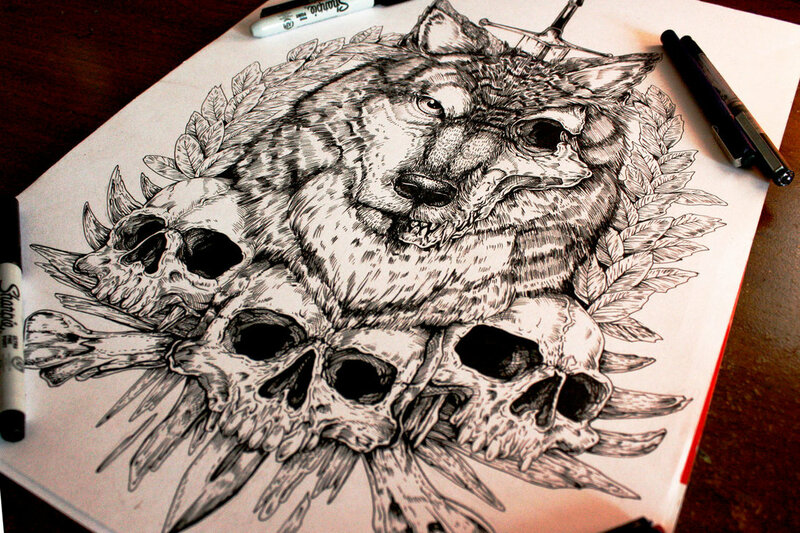 Winter is Coming, a quote from TV Series, Game of Thrones. 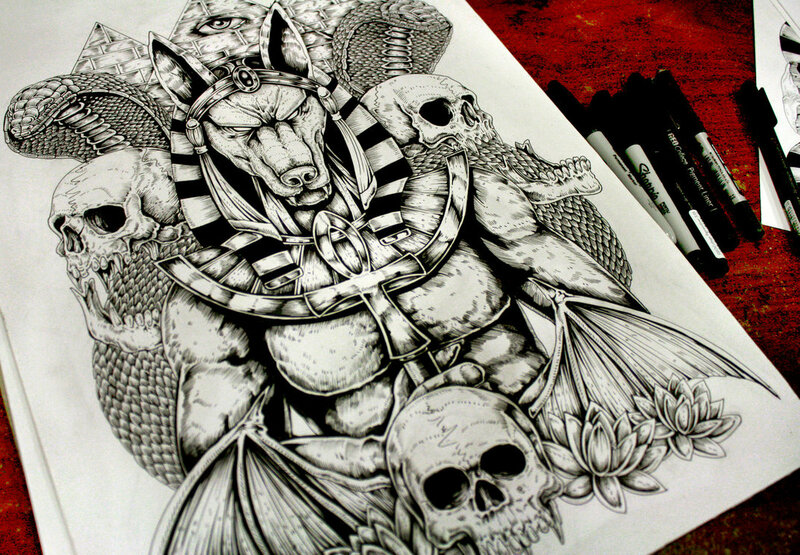 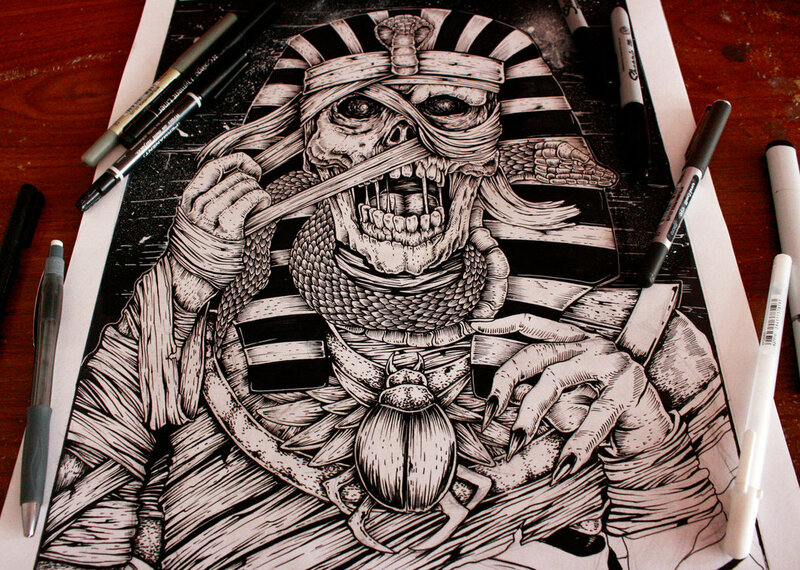 Anubis God of the Underworld.